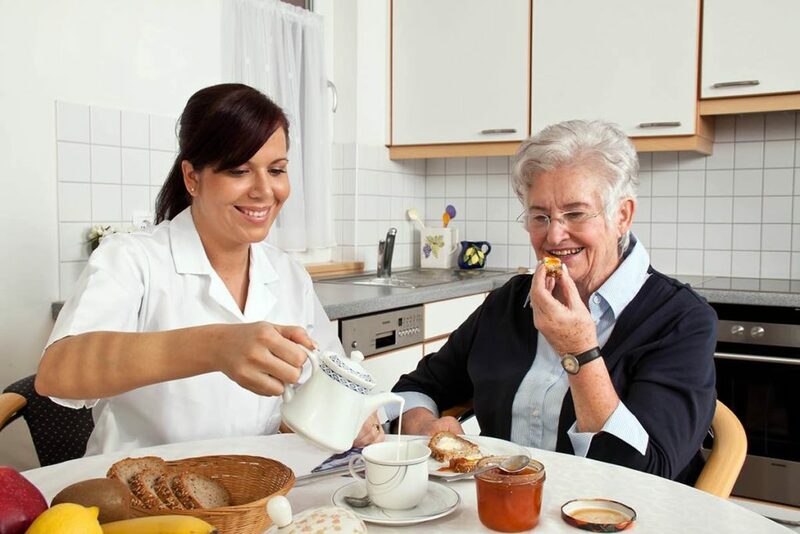 As a home health care company with over 12 years of experience in Naples and Southwest Florida, we have seen many incidents were seniors fall due to dangerous conditions or lack of balance. It is one of the biggest threats to senior’s health. In old age, a seniors ability to keep balanced decreases. 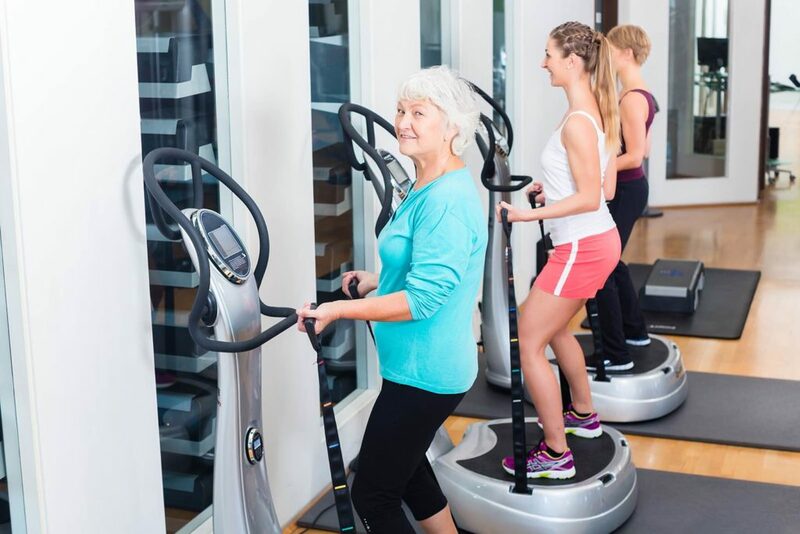 Vibration platforms are exercise machines with a vibrating plate that the user stands, sits, or lies on while performing specific movements. Due to the consistent vibration, the body naturally tries to stay in balance which causes multiple muscle contractions especially in the core and along the vertebral column. 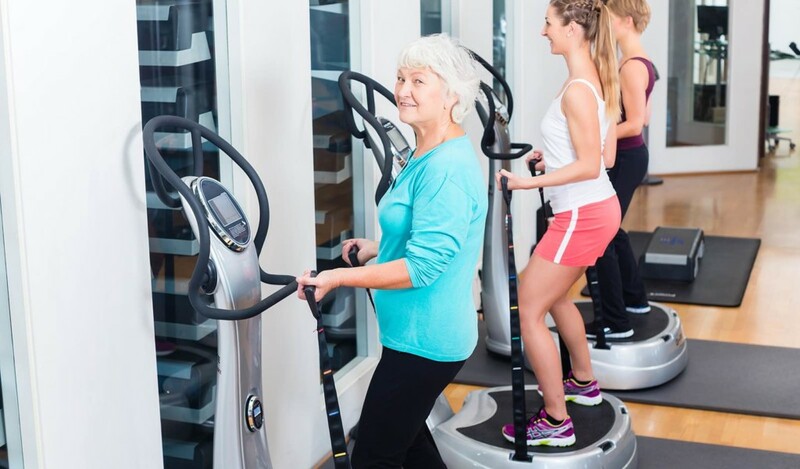 Most of those machines have stabilizing bars which allow seniors to train their balance while holding on to the machine. This secure position reduces the chance of falling off the platform. 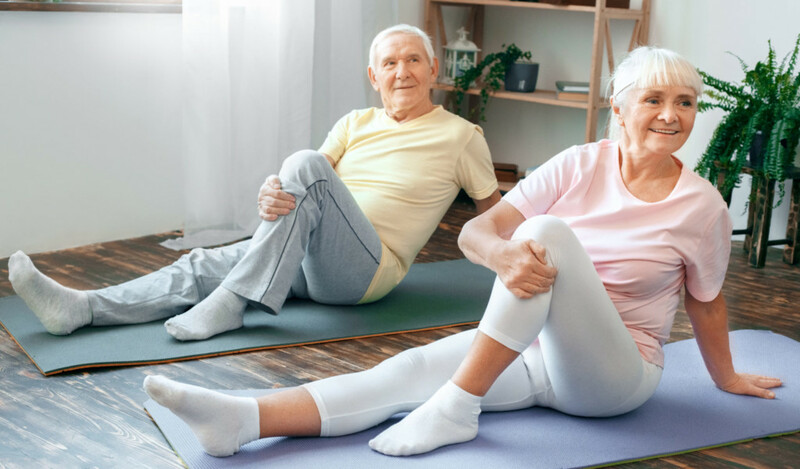 This exercising method is very popular among seniors due to the low impact on joints, core strengthening and the improvement in balance which helps reduce the risk of falling and Osteoporosis. It is highly recommended to have a certified trainer showcase the different exercises and have a physician’s approval to do such a workout. This training method combines different postures and movements in order to keep the body in balance. Similar to the previous method, Yoga training movements can have a very low impact on joints that are preferred by seniors. 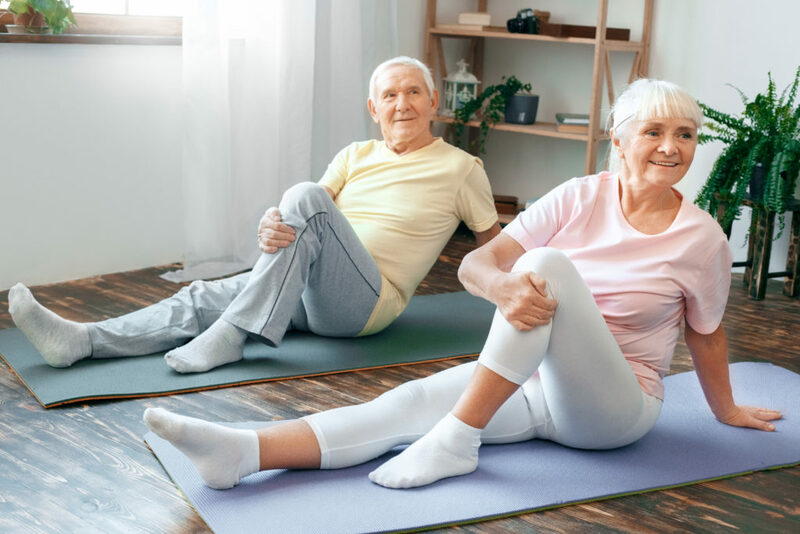 Depending on the range of movement, seniors will be guided through different poses that combine stretching and static strengthening exercises with the goal of increased balance and core strength. Like with any other physical training, it is recommended to consult a physician and have a certified trainer/Yogi guide one through a routine. Many risks of falling can be avoided by eliminating obstacles in the home. Make sure that living areas are not cluttered with objects that might cause seniors to trip or stumble. Clean and clear paths to any part of a living area are important. Make sure that lighting is appropriate in all rooms and that the switches are easy to reach and use backlights so they can easily be seen. Slippery surfaces like in bathtubs should have non-slip stickers or a matt if possible. Wearing non-skid, rubber-soled, low-heeled shoes, or lace-up shoes with non-skid soles can also tremendously decrease the chance of falling. Utilizing assistive devices like a cane or walker and having them on hand is definitely helpful as well. Make sure to visit a physician regularly to check for visual, hearing and balance impairment. Any decrease in audiovisual senses can increase the threat of falling tremendously. Making sure that seniors have the right glasses or hearing aid is essential. Having someone to look out for seniors can greatly reduce the risk of injury due to falling. 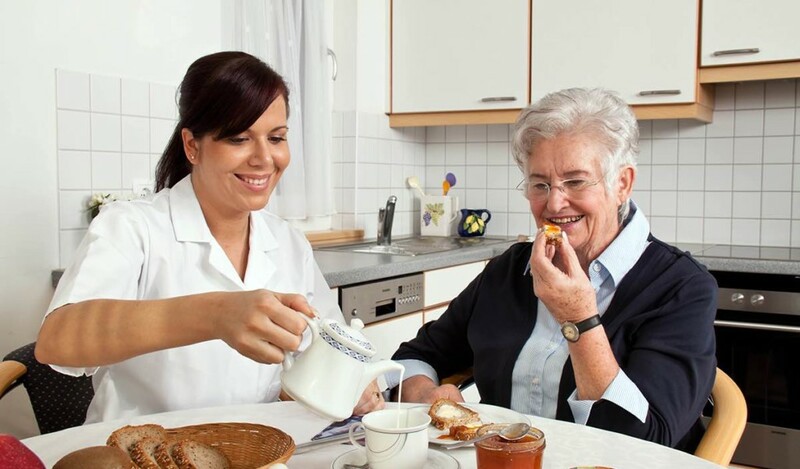 Our licensed, knowledgeable caregivers will help make sure seniors are safe in their own home and around town. Caregivers can help ease the stress of day to day activities like grocery shopping, bathing, housekeeping and meal preparation that seniors may find difficult if they have balance or stability issues.